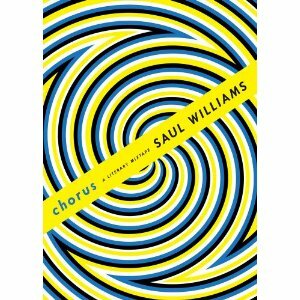 *Saul Williams, along with Dufflyn Lammers and poet Aja Monet, are the editors of a “literary mixtape,” called Chorus on September 4th. The book is described as, “the anthem of a new generation of poets unified by the desire to transcend the identity politics of the day and begin to be seen as one. One hundred voices woven through testimony and new testament. It is the cry of the unheard. The occupation of the page itself. It embodies the “speak-up” spirit of the moment, the confidence propagated through hip-hop, and the defiant “WTF?” of the now. It is the voice that comes after the rebellious voice that once cried, “I want my MTV!” branded back to where punk was, slammed up and beyond it. A combination of trash, heart, and craft. An anthology in rant. Chorus is what all modern-day losers chant.” Speaking of Aja Monet, she is also working on a book of science fiction, so keep an eye on that one, too. *On August 17 and 18, OnyxCon 4 will be held in Atlanta. OnyxCon showcases, celebrates and educates attendees on various art from the African Diaspora. The convention is also doing a viral contest to spread the word about it and for you to win prizes. * If you live in Ann Arbor, Michigan, Tunde Olaniran, Maria Rose & The Swiss Kicks, Charlie Slick and Celsius Electronics will be performing at the Blind Pig music venue on August 2nd. The doors open at 9:30pm and the ticket are $5 for adults and $8 for anyone under 21.